Diversification is an important principle when investing your money. When you diversify, you put your money in several different types of investments to mitigate risk. For example, you might invest in the stock market, but also real estate. Your stock portfolio might include several different companies from different sectors. That way, if one company tanks, or the stock market dips into a bear market or recession, your future isn’t compromised. The principle of diversification can be helpful in your everyday life as well. 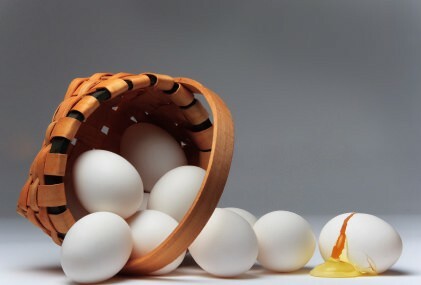 Some people throw all their eggs in one basket, so to speak, but then struggle mightily if that one basket takes a hit. If you work 80 hours per week and that’s all you look forward to in life, you’re going to have a hard time if your job isn’t going well. But if you also find value in your family, friends, exercise, church, and hobbies, the diversification gives you a buffer. If one area of your life takes a hit, the other areas can make up for it. Diversification can be helpful within each area of your life as well. If the only kind of exercise you enjoy is running, you are in for a tough time if you get shin splints. But if you also enjoy cycling, lifting weights, swimming, and CrossFit, the diversification gives you a chance to keep being active even when you’re injured. Or consider your relationships: If you have two friends, and have a falling out with one, you have lost 50% of your community. On the other hand, if you have 100 friends and lose one, it’s not as big of a deal. What do you think about the concept of diversification in your everyday life? Are there areas of your life where you have all your eggs in one basket? How could you diversify that area of your life?